HighLow Review - demo, fees, strategy and more! 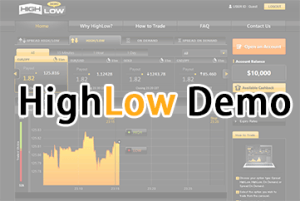 High-Low is an Australian broker founded in 2013 on the platform of Market Pulse under the regulation of ASIC. Unlike the majority of other brokers, its registered office is in Sydney where it is also regulated. 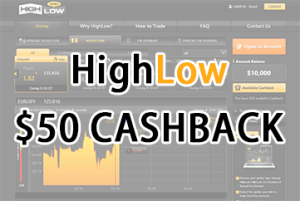 The minimum investment with the broker highlow is $ 50, to which you get additional cashback worth $ 50, which is in fact nothing else than risk free trades. Though High-Low is a good broker, we recommend IQ Option, whose minimum deposit is even lower ($10) and their platform is also excellent. However, if you use High-Low to test your first trades, you do not have to fear. 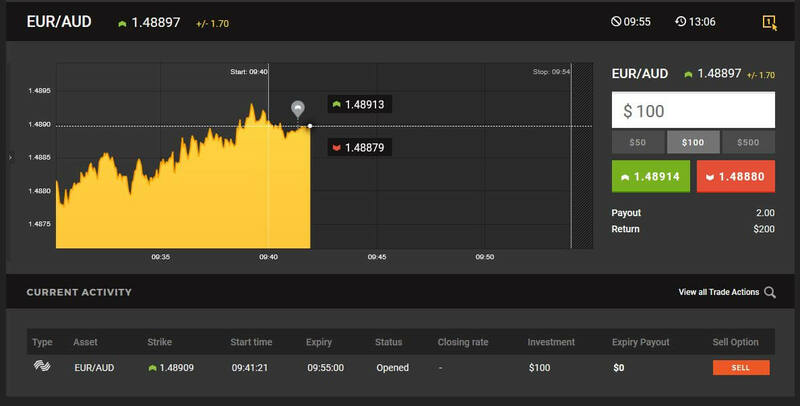 The profits this broker offers are above-the-standard, 88% for binary options (for the majority of assets) or even 100% (for spread options) and 93 % for short term options. The disadvantage of this broker is that it does not offer Czech as a language or the Czech currency for trading. Not happy to say, but it seems that High-Low will hardly attract attention of loads of traders. 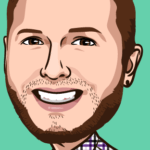 High-Low uses an in-house platform not well known in the market. The platform called Market Pulse is very fast, but with a limited number of assets to be traded. Traders can start to trade with as low as $10. The overall impression of the smooth platform is very positive to me. In the recent months, the platform has been slightly modified, so the current look has changed for the better. As a disadvantage I would point out a small number of assets offered for trading (25) and the impossibility of navigating through the chart. This is more or less the issue of the broker and should not necessarily concern you, if you use Meta Trader. More information about the Meta Trader software is available here: Series on Meta Trader. We strongly recommend that all of you who have not read the series should do so. The platform offers the option to “buy-you-out” of your trades, which means closing the trade before it’s expiration for both profitable or losing trades. A great thing is the possibility of using a demo account to test the broker’s platform immediately after a free registration without any time limits. You do not have to invest money (as with other brokers) and the demo account is available instantly. 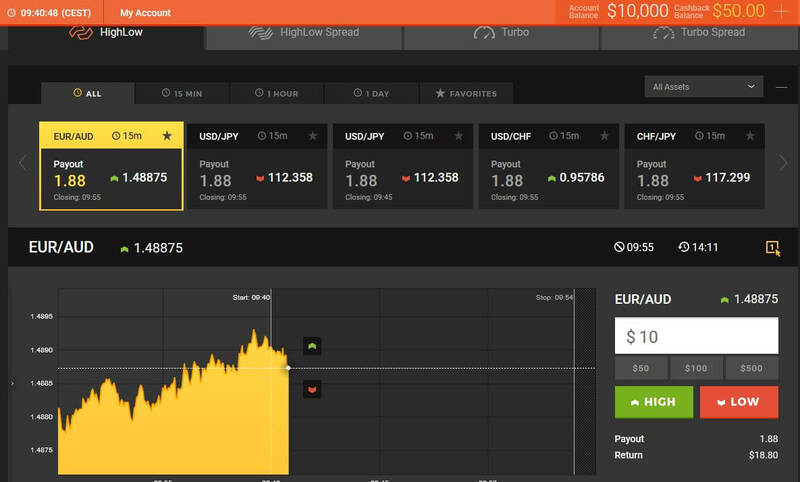 The quality of the demo account is good and its “intentions” honest, unlike the demo of Binary Options Robot. 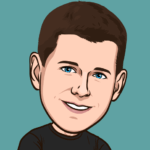 However, if you don’t feel comfortable using High-Low’s demo account you can use the demo account for free at our website – xbinop.com (demo). We do not require any registration or things like this. You can start trading immediately, which surely comes handy at times. Free cashback of $50 is a benefit both novices and experienced traders will appreciate. One could say that this is a risk-free trade, rather than a typical cashback. This practically means, that all your trades (up to the total of $50) will be either profitable or the broker will credit your account with money the trade lost. The cashback works without any further conditions. This bonus is a great thing, indeed, because it does not push the trader to do more trades (as in the case of other bonuses that unregulated brokers offer). You can withdraw all deposited cash immediately. This broker offers trading of the regular high-low options, and also spread options. This type of binary options offered by High-Low to every trader is attractive because of the profit it offers. The profit is not 70 or 85 per cent, it is full 100%, regardless of the expiry time frame chosen by the trader. The only drawback in this type of options is that the trader is somewhat disadvantaged against the broker. It is because the price must exceed the boundary of around six pips in the (call/put) option’s direction to generate some profit (ITM). How come I can only withdraw my deposit money of £50 to my credit card when I have £84.53 in my account balance. Can you please tell me what is happening and what I can do? Hello, the minimum withdraw is 50 so you should be able to withdraw this, it’s weird that you are not. Did you get any message or info on why you can’t do it? Let us know, thank you. I lost an incredible amount of Funds to the fake Binary option Brokers, It all started from a phone call and after some persuasion I decided to invest, after months of constant investment I decided to ask for a payout this was the beginning of my turmoil, to my dismay I was still asked to invest more. Being a Single Mother of 3 kids this really affected me and despite all efforts to contact them failed. Hello, Kate, we are really sorry to hear that story. Were you able to get your money back or not? You are talking about HighLow exactly or any other broker? Let us please know more about your story. Thank you so much! And be more careful next time. From peoples comments and experience I’ve read on here, I think they are another scam because any legit company would easily pay out money the same way they easily received it. Its the same thing i faced with IQ options, and after they noticed their trials to convince me wasn’t working anymore and i was adamant on getting withdrawal, they requested for documents and later stopped replying to my emails. over 8months i kept trying different sources on how to get my money back. Hello, thank you so much for sharing your experiences. My own experience with IQOption and HighLow is just good, I have never had a single problem with any of these two brokers and I was trading with them around 3 years, which is a long time. Was you able to get your money back or no? Let us please know and share your story with us. Thank you so much and have a nice day! Hey 😉 People from Europe Union can’t trade with broker High Low anymore. Hi Geoff, I don’ think so, sorry. Yes, sometimes, the market goes in the direction traders don’t expect. That’s why they lose money – however thats not a reason not to believe a broker, or is it? This broker is fine as far as I have tested. one of the best broker i find. but recently they change so many things. i think they will lost so many traders soon. i choose your broker for many years only for its honesty and fairy tradeing plarform. recently after i lose so many positions i try find its reasons. i saw almost 15%of my position close in same price and you didnt give back my money.does any thing change? i become broken only for this reason. its not good for me and your honest past activities. please if you can give my moneys that i lose for this reason.please come back to your past rules. so many traders will quite your broker. Dear Tatevik, I am sorry that you lost your money. However you said it yourself – HighLow is a very fair platform and a company – sorry but they can not (and I can not either) give you your money back. Hi – we are not the support team. This website is only for reviews – we do not work for the company. However: NO this broker does not offer any auto-trading solutions. When can I use my free demo?? what do you think the reason why my registration declined i submitted all the IDs and documents needed and followed all instructions but still declined. Can somebody use those documents, let me know please. Dear Lanie, are you sure you have submitted correct documents? Not too old and with all the right info, not hiding any necessary details?